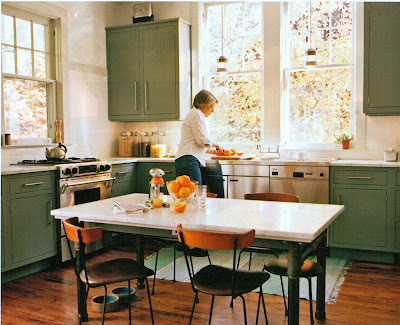 That's just what I'd want in my dream kitchen--big, tall, open windows. and lots of them! I also love the green! My kitchen now is green and when we move I want the exact same colors!